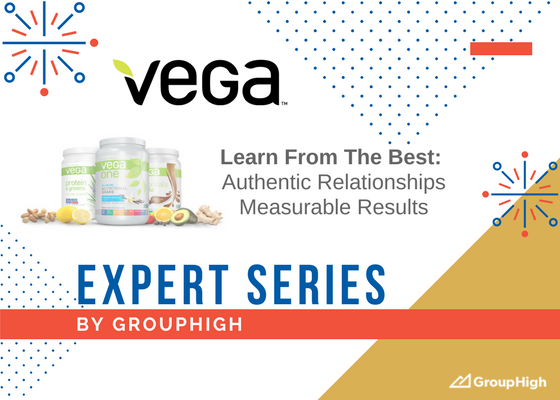 Vega’s organic approach to influencer marketing is quite fitting for a company focused on clean, plant-based nutrition. Over the past 15 years Vega’s community of bloggers and influencers has grown from a small group of professional athletes to over fifteen-hundred passionate influencers across North America. How Vega grew their influencer program from a small group of athletes to over 1,5oo content creators, gaining 3 new applications daily. How the initial growth of their blogger program was reliant on a quality, concise, and personalized pitch as the key to it’s advancement. How they define success by using a hybrid approach, combining accurate numbers and a qualitative sense of effect an influencer is having. Learn from the best explores how today’s best marketers and companies operate blogger programs and build relationships with influencers. The experts highlighted in this series work in different industries, but all understand the value of fostering relationships with bloggers and efficiently activating and managing their campaigns.